Whether you need prompt dirt removal or heavy equipment hauling, Sakaida and Sons is here to help. We draw on over 40 years of experience to bring you reliable, value-added solutions for all of your trucking and construction needs. 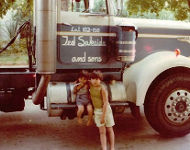 Sakaida and Sons Trucking began on May 24, 1972, when Ted Sakaida purchased his first truck. 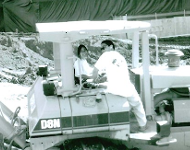 He had just turned 23 and was working in a machine shop when a friend taught him to drive. With two children and a third on the way, Ted needed to find a way to support a growing family and his fateful purchase began the journey of a lifetime. He leased a set of "bottom dump" trailers and started hauling dirt. 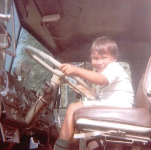 He had no way of knowing that this new profession would turn into a booming business—he would eventually estimate jobs, bid on them himself, and dispatch his own trucks. 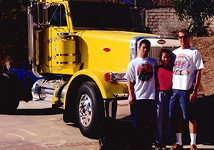 He wouldn't have dreamed that he would one day expand into owning and transporting heavy equipment, engineering, and moving all types of aggregate. But with hard work, determination, and his loving family by his side, this would be the future of Sakaida and Sons.